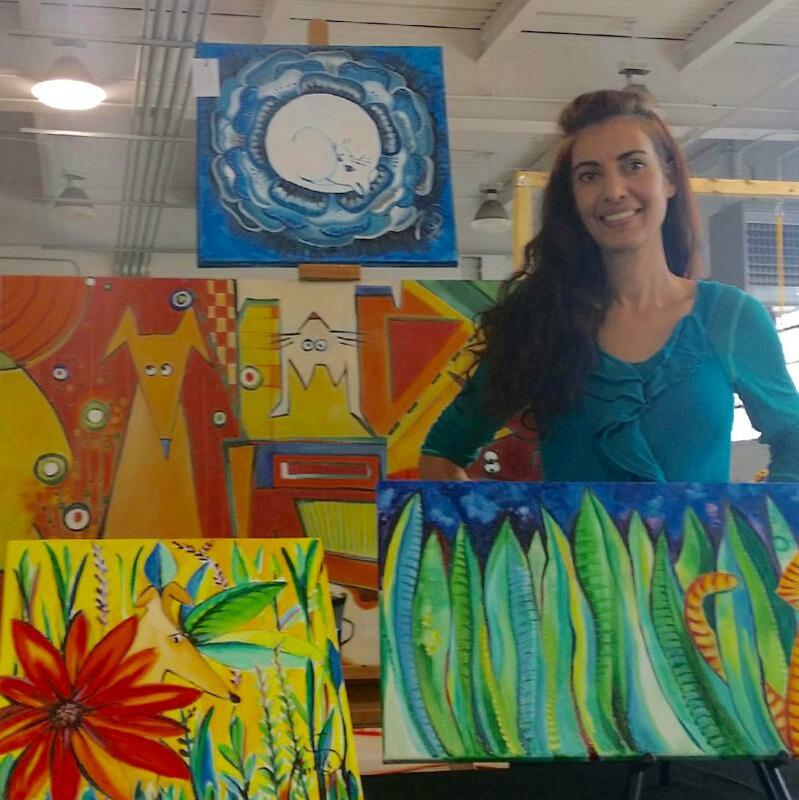 My name is Mariela Silberberg, I am originally from Argentina, and I have always loved to paintand draw. As a child I did it as a hobby, whenever I could. what I really wanted to do for the rest of my life. That is when I decided to go to Fine Arts. I explored several media (I was fascinated with printmaking and ceramics, too) and finally got my degree in Painting. But life takes strange turns sometimes and I ended up moving to﻿ the United States in 2003. Heights, Ohio. Here I live with my husband, three children and a sweet cat named Candy. Please feel free to contact me with any questions (about me or my paintings! ).